According to WWF Shrimp is the most valuable traded marine product. Production is growing by 10% every year, making shrimp a food incredibly high in demand! Farming shrimp makes it more accessible for shrimp loving areas such as the USA and Europe, as a result 55% of shrimp is now farmed. However, this is at a cost to the environment. Shrimp farming produces organic waste and chemicals which can pollute the coastal estuaries they are built in and can also damage land around them. This is important agricultural land which is often essential to the surrounding communities. 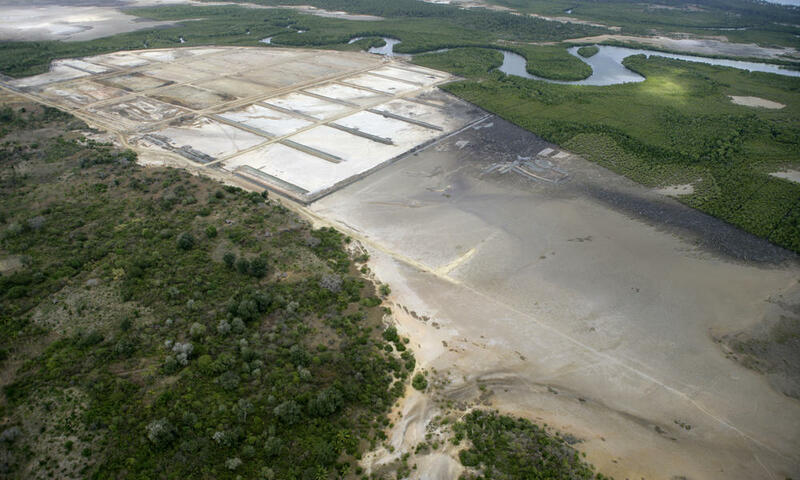 They can change vibrant, sensitive wetland ecosystems, such as mangroves, ruining other wildlife. Entire coastal zones can be destabilized. Farmers take shrimp from the ocean to stock their shrimp farms, often depleting local populations of fish who rely on them as a food source. This is a circle of destruction on delicate ecosystems which needs addressing. Another serious downfall of the shrimp farming industry is the frequent outbreak of disease. Disease does not affect only one farm at a time. The birds which consume the shrimp then spread the disease to other shrimp farms in their faeces. The effect of shrimp farms closing due to disease can have a huge impact on local economy and cause job loss. In many of these areas shrimp aquaculture has been promoted by the government and aid agencies as a way to combat poverty and generate jobs and income, so the effects of then losing this income can be disastrous for communities. Generally, shrimp farming is not an eco-friendly industry and is not an alternative we want to promote on Down and Out in Bristol with Plastic. Although Shrilk has the potential to be a fantastic new resource and uses a waste product, the product is often taken from an industry causing destruction. WWF are working to create new standards in the industry to ‘address the key negative environmental and social impacts of shrimp farming while permitting farms to remain economically viable.’ And thankfully it seems that WWF’s work is appreciated and understood by farmers: ‘In Belize and Ecuador, farmers appreciate the value in adopting standards as a means to distinguish themselves from their competitors. They understand that it will not be long before consumers are demanding certified product.’ They are also encouraging retailers of shrimp to commit to only selling certified products to encourage the new standards to be adhered to. Fantastic news and great work from WWF.